We all know very well that currently, we are living in the era of streaming services, but, still, there are many users who still keep a small collection of offline music. 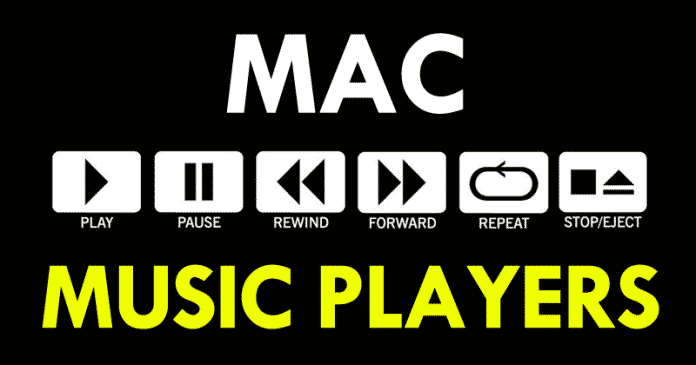 Hence, today we are going to present a list of several music players for Mac so that you can find the one that best suits your needs. We all know very well that currently, we are living in the era of streaming services, but, still, there are many users who still keep a small collection of offline music. Hence, to manage this music definitely, there will be a requirement for music applications that are not only limited to play all those files but also able to organize the music collections as well. However, we all know that iTunes is very practical when it comes to recognizing Apple devices, as it simply helps us to connect Apple devices to the computer, but, basically, it is a media player. But, the problem with iTunes is not that it does not look good, as it features a much cleaner and easier user-friendly interface. However, still, there are few programs available that have better features than those brought by the tech giant Apple’s iTunes, and not only that even they are much more reliable than iTunes when it comes to managing your media library, in addition to offering you better listening experience. That’s why today we are going to present a list of several music players for Mac so that you can find the one that best suits your needs. So, without wasting much time let’s get started and explore the list mentioned below. Tomahawk is one of the best players that support all three platforms, of course, Mac, Linux, and Windows. And not only that even it is the only player on our list that simply gives us the ability to connect with social platforms including Soundcloud, Spotify, Last.fm and much more. One of the best things about this player is that if you want to listen to a particular song, whether it exists in your library or not it will simply crawl through all the connected sources and find the best version for you. Moreover, it also has the connectivity with well-known social platforms like Facebook and Twitter simply to share what you are listening to with your friends and followers. 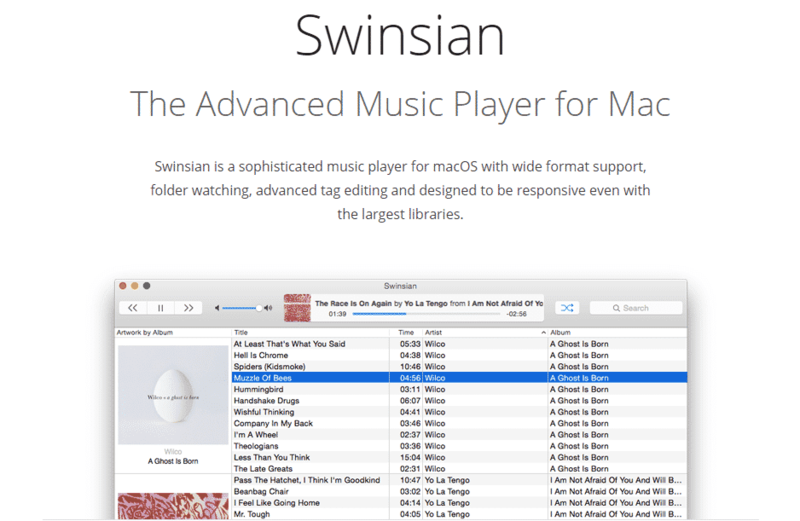 Swinsian is another great alternative for iTunes that mainly focuses on the part of media playback, and simply neglects other non-essential things. As this awesome player also has social integration that simply allows you to connect your last.fm account. However, this well-known music player has two unique features that simply make it different from other players. Yes, those two unique features are the easy ID3 metadata/tag editing that this tool offers, and the automatic detection of AirPlay ports (if one is available). Moreover, now if we talk about the user interface of this player then let me clarify that it has a very similar UI like iTunes, so basically, if you are familiar with iTunes then using this player will become quite easy for you. 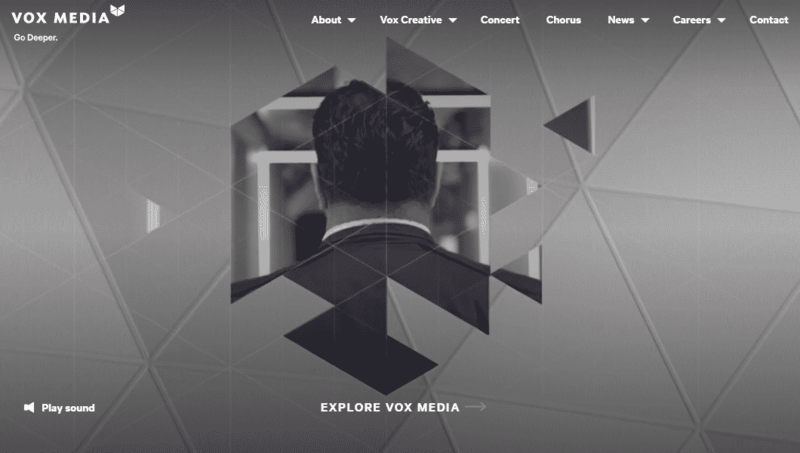 Vox is also one of the best multimedia players with which you will find a seamless integration of Soundcloud and last.fm. It also provides you with the high-quality sound and not only that even you will have the best output if you have high-quality tracks on your system. Moreover, this well-known music player, of course, Vox apart from its extraordinary features and music playing skills, it also allows you to store your entire music library in the cloud without losing the quality just for the US $4.99 per month. This is an extraordinary player for Apple devices which simply aims to replace the tech giant Apple’s well-known media manager, of course, I am talking about none other than the iTunes. As it is compatible with all the iOS devices, such as the iPhone, iPad, iPod, Android, and not only that even it also supports the Windows operating system as well. DoubleTwist is a quite distinct multiplatform media player and manager that has the support for the well-known platforms like Mac, Windows, and Android, and not only that even it keeps its media library synchronized on devices through a Wi-Fi connection as well. Hence, it is also one of the most reliable options for you if you have a Mac or an Android phone, and you simply want to synchronize your music library with iTunes. While as a music player it simply does it work flawlessly, but there are not many additional features like others. As it is one of those players that have a simple and familiar interface that will simply force you to use it. Moreover, this music player is available for free, but, it also has an optional paid version which is available with more advanced features than the free one. 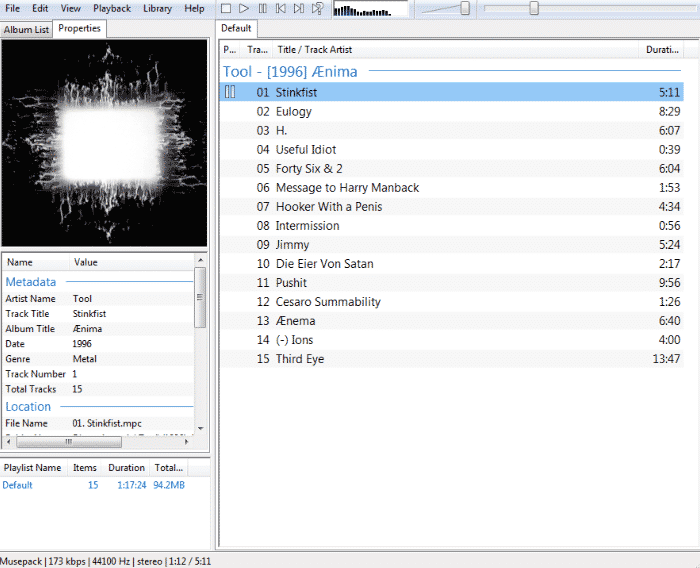 Ecoute is one of the lightest media players that has a unique interface, in which certain elements are only available in larger screen sizes. However, it automatically detects and import all your iTunes library and provides playback notifications through a widget that is always visible. Moreover, this awesome and lightweight music player also supports the connection to the well-known social network platforms like Facebook, Twitter, and Last.fm. Even it also has an iOS application which is capable of replacing your native music player as well. If you are a serious audiophile (a person who is enthusiastic about high-fidelity sound reproduction) then this music player, of course, Fidelia is the best option for you. 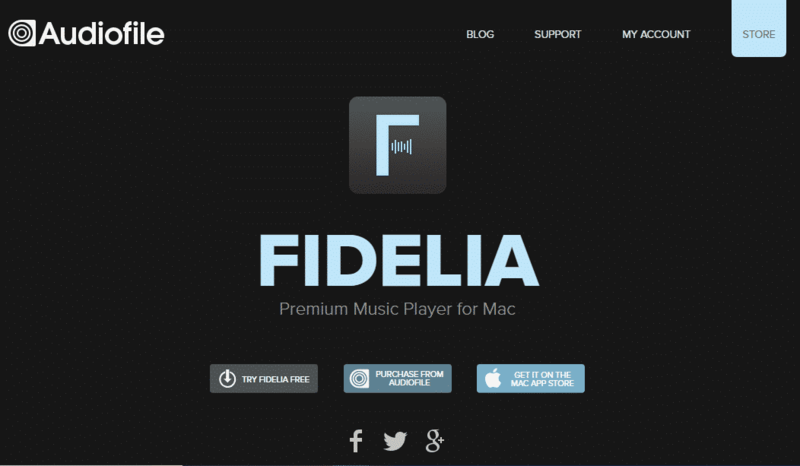 As it is a paid music player that simply focuses on high-fidelity sound quality, so, basically, Fidelia is all about quality. Basically, now if we talk about the interface of this player then let me clarify that its interface is quite similar to the today’s high-end radios, and not only that even it also shows you the most accurate wavelength of the music which is being played. Moreover, this high-end music player is the only player that uses iZotope technology for optimal conversions of the sampling frequency. aTunes is a multiplatform player and its interface is simple which has some very interesting visual options such as Cover Flow, which will remind you of iTunes. 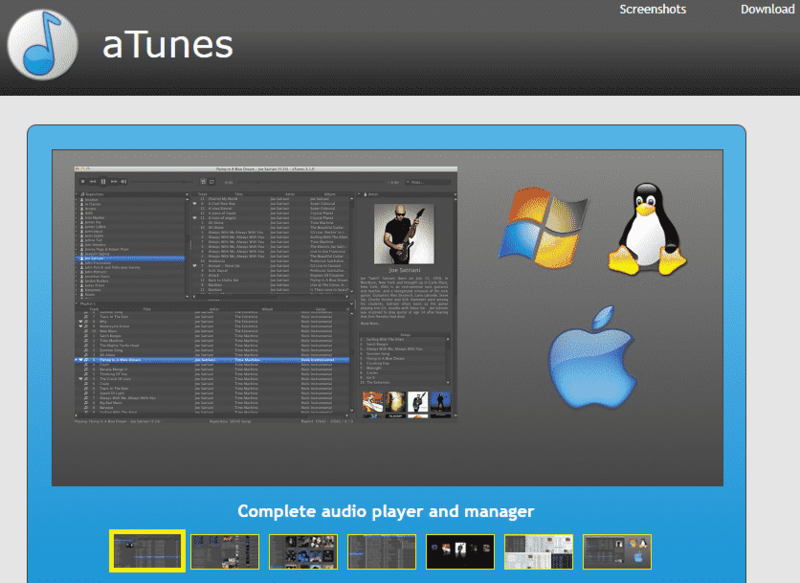 While just like the other players it can also handle all formats and manage the music of different folders. 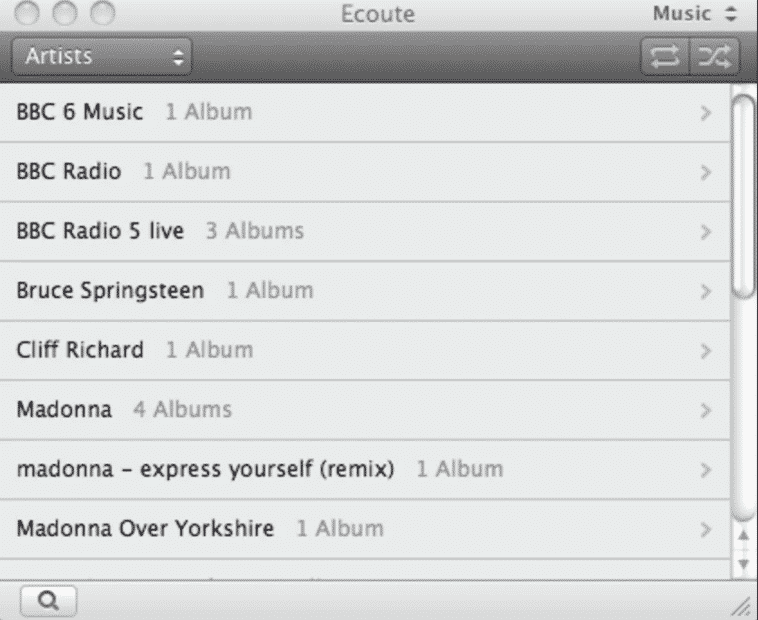 Moreover, it also allows you to manage playlists with the elimination of repeated songs, online radios, and podcasts. However, its downside is that it offers practically no documentation so if we face any problem then we have to it without any help of its official forum, and the positive thing about this player is that it has versions for all the major platforms like Mac, Windows, and Linux. Amarok is also a multiplatform player which has the capabilities to handle all kinds of musical formats, and in addition to managing your offline music collection, in this player, you can also play streaming services like MP3tunes, Last.fm, Shoutcast and much more. Moreover, Amarok has versions for all the major platforms like Mac, Windows, and Linux. Clementine is one of the most versatile musical applications that you can find in this list. As it features really advanced options to manage all your music file, even it also allows you to perform searches simply to find songs that are uploaded to cloud services like Dropbox and Google Drive. It also supports multiple audio formats including MP3, WAV, AAC, and FLAC, and not only that even you can also convert files from one format to another. Moreover, you can also download the ID3 tags with the artist names, genres and song titles from the files that are missing. While now if we talk about its availability, then let me clarify that this well-known music player is available for all the major platforms like Mac, Windows, and Linux. All these are the top 10 best music players for the tech giant Apple’s Mac OS. So, what are you waiting for? Go and try them out, and do not forget to share all your views and thoughts in the comment section below.